Days after the election on 1 November Judge Sergio Moro, who jailed Lula for 12 years on trumped up charges of corruption, accepted Bolsonaro’s invitation to serve in his ultra-right wing government. In appointing Moro to be his Justice Minister, Bolsonaro vividly demonstrated that Lula is the victim of a conspiracy involving the US, the Brazilian capitalist class including its state apparatus and the far right in Brazil to stop him ever serving as the President of Brazil again. Lula is innocent. He has been jailed on the basis of “undetermined acts of corruption.” His right wing persecutors have failed to offer a shred of material evidence against him and organised the trial on the basis of “guilty until proven innocent”, violating a universal principle of justice. The judgement was made without identifying what crime was committed. The United Nations Human Rights Committee insisted that Brazil must take “all necessary measures to ensure that Lula can enjoy and exercise his political rights while in prison, as a candidate in the 2018 presidential elections.” Brazil’s Electoral Court defied this international ruling and kept Lula off the ballot paper in a decision taken only one month prior to the first round of voting. Lula’s real crime was to champion the interests of Brazil’s working class and oppressed – bringing millions of people out poverty – and to challenge the US on the world stage by pursuing a foreign policy in favour of Latin American unity and for a multipolar world through initiatives such as BRICS. Lula’s progressive record as President of Brazil from 2003 to 2010 is why throughout 2018 he held a commanding lead in all the opinion polls. When Lula was forced to withdraw from the Presidential race in September, just a month before the election, he was polling approximately 40%, almost double his nearest rival Bolsonaro. The removal Lula from the election created a vacuum and paved the way for Bolsonaro’s surge in support. The real criminals are Sergio Moro, the leadership of Brazil’s Army, the frenzied capitalist media in Brazil and in the West, and the US government who together have orchestrated the political persecution of Brazil’s most celebrated and popular political leader of all time in order to subvert democracy, deny the will of the Brazilian people and deliver the country’s economic and foreign policy to the control of the United States. Unelected, right wing and aligned to US interests, judiciaries across Latin America are being used to attack popular left leaders including former President of Argentina, Kirchner, and former President of Ecuador, Correa, with the goal of decapitating the left’s most commanding figures. By using judiciaries that they control, the US government can effectively rig elections in Latin America through stopping the left from putting forward their chosen candidates by throwing them in jail, as the case of Brazil has graphically shown. In the case of Brazil, the US has played an active role in targeting the left in the campaigns against “corruption” that have engulfed the country in recent years. The US has reliable allies in Brazil’s capitalist state apparatus that have ensured that the left did not win the Presidential election this year. In the month since Bolsonaro’s election victory the ‘mask has slipped’ and the political motivations and allegiances of key actors in the persecution of Lula have become even more explicit. In addition to integrating Brazil’s most prominent Judge into his government, Bolsonaro has also appointed leading military personalities. Bolsonaro’s government includes a number of retired Generals – including his Vice President running mate General Antonio Hamilton Mourao as well as General Farnando Azevedo e Silva who will serve as Defence Minister. The announcement that Moro will serve in Bolsonaro’s government has demonstrated to the world the corrupt, politically motivated character of the campaign to stop the left in Brazil. 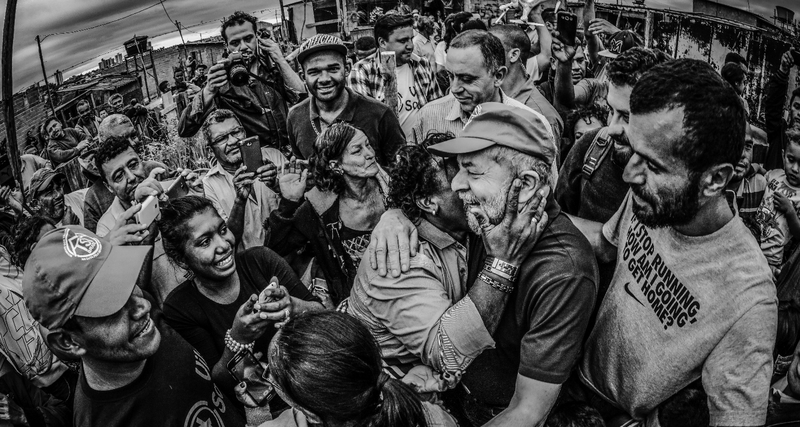 It has given fresh impetus to the campaign to free Lula. Following Moro’s appointed as Justice Minister Lula’s defence team immediately filed a habeas corpus for his release in light of the blatant bias this act has revealed. Lula is innocent, he is a political prisoner. Instead of languishing in jail he should be preparing a return to government from 1 January 2019. Free Lula – Lula Livre!